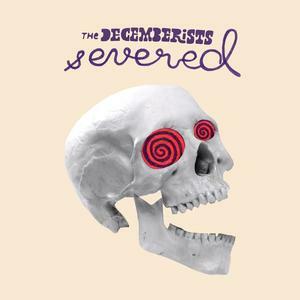 For this week’s recommendation I’m moving back to a discography and it’s for the band The Decemberists. I have my lovely wife Sarah Storm to thank for introducing me to this band. My favorite record by them is easily their 2011 release “The King Is Dead” and my favorite song by them is “Rox In The Box” from that same record. However, for the playlist I will be including their song “Severed” off their brand new record “I’ll Be Your Girl”. This new album is quickly becoming another one of my favorites. 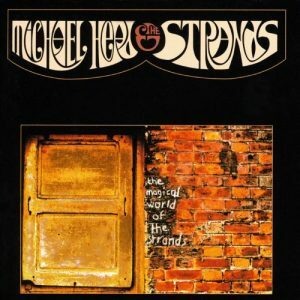 The band plays a lot with genre on this album which I find quite fun and refreshing. The song “Severed” is this fantastic meeting point between new wave, classic rock, folk and indie rock. I think this song and album are a great place to start for new fans. For this week’s recommendation I’m recommending a band. That band is Flobots. They are a band that seamlessly mixes some of my favorite genres of music from hip hop to folk to rock to pop to indie and more. I highly recommend all of their albums but my favorite is The Circle In The Square which was released in 2012. My favorite song by them however and the one I’m putting the playlist is from their 2010 release called Survival Story and is called “If I.” They flow with a rebel energy and are incredibly diverse. Definitely worth checking out. 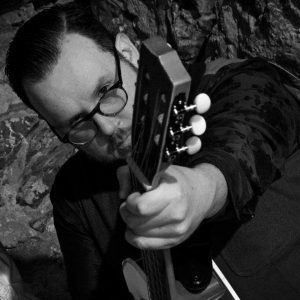 Today Matt welcomes Waylon K. Smith, a musician hailing from Greencastle, PA. As one half of the band The Positronic Cats, Waylon’s roles as a musician range from singing to playing guitar and electric bass, while his bandmate Jim Taylor plays electric and acoustic mandolin. With Matt, Waylon chats about how his band’s newest record Mortal Cathedrals came to be, from its content to its artwork, and to the music video for its first single “Glitter”, (which stars previous guest Robare James Pruyn-Bush). Waylon also discusses the band’s dynamic and how they work together as a unit to create their music and perform live. And so, from Waylon’s origins to his influences, both musical and external, here’s presenting Matt Storm and Waylon K. Smith. Day 2! 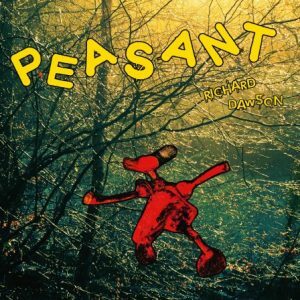 While it might seem that the word “folk” gets applied to just about everything these days, English songwriter Richard Dawson has the apparent distinction of existing both at the primeval and pioneering fronts of that genre. With his unusual cracked vocals crooning over a broken (yes, literally broken) guitar, Dawson gives us Peasant, transplanting us to a Britain of very long ago, where not everything is as it appears and where coarseness and beauty are one and the same. Let’s unpack this project together and share its most attractive (and its most contentious) qualities. Also, what warped or broken instrument would you care to play? We’ve got ours, let’s hear yours! Clear your day for Leonard Cohen. (Well, a least a portion of it.) With his soft vocals and poetic flair, Leonard Cohen has been speaking to a generation of poets as well as musicians ever since the 1960s. 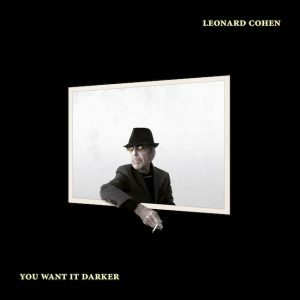 Today we’ll be speaking to both camps as we take on Cohen’s latest album You Want It Darker. Also, stick around for a brief compare & contrast discussion on universality and general appeal vs. the personal effect and specificity. 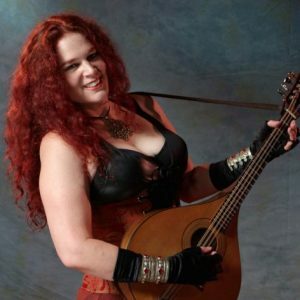 This week, Matt welcomes Sharon Knight, a Celtic/folk vocalist and mandolinist, hailing from San Francisco. With her latest album Portals and a music video for her single “Porcelain Princess” now released, Sharon chats with Matt about how long she was working on the new record and what went into creating the music video. 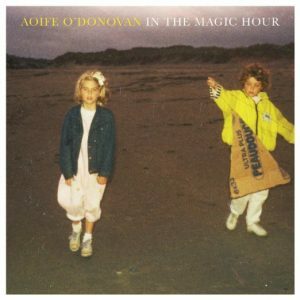 They also touch upon her tour life, how she got started in music, when she started playing mandolin, and her Celtic/folk influences. With time to throw in her future plans and some information on the visual art she creates, here’s presenting Matt Storm and Sharon Knight. Some have called him the greatest American songwriter — a merit worth examining as Paul Simon’s music continues to retain its luster from generation to generation. 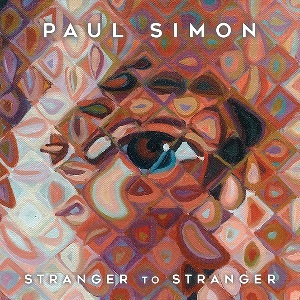 But should the acclaimed discography of Paul Simon tint our analysis of the musician’s latest album, Stranger to Stranger? …Hardly! Let’s feign ignorance together and investigate Paul Simon’s 13th studio album for all it has to offer. And don’t forget to stick around to the end as we launch into a fun and surprisingly multi-faceted discussion on cell phone audio, retracing its evolution, and predicting its future. 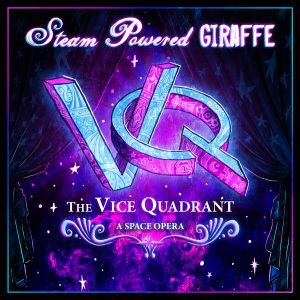 Yup… we’re back to Steam Powered Giraffe. And it’s a special double disc day! The Vice Quadrant, the fourth installment of the steampunk / “broadway”-esque act (chronicling the adventures of three antique malfunctioning musical robots) was released September 2015, and, as promised in their previous release MK III, they’re in spaaaace! Although today marks a rare third visit to an artist for us (after episodes 39 & 72), the “space” sales pitch was simply too tempting to resist. We will, however, bite the hook on one count: being a double disc, an unstreamable album, and an extra long episode, this one’s likely just for the SPG fans. If you count yourself in that crowd—but still have a critical ear—then join us in this hefty analysis and share your thoughts below! Hopefully our ‘Disc Two’ “bookmark” at 1:23:30 will help manage your time.